13 sites. If you are looking for a place for you and your family to enjoy the summer, look no further. This campground is tucked away on quiet Loon Lake in New Auburn, Wisconsin. 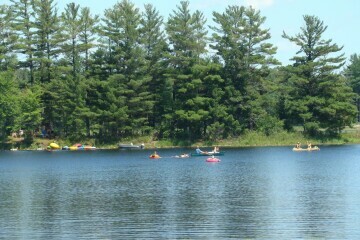 This lake is shallow and quiet, which makes it the perfect lake for paddle boats, canoeing, and kayaking.